This morning our Angels treated the staff of the South Wales Argus to breakfast on us! Take a look at the pictures we took! 1. Some happy office workers at Argus waiting for their breakfast on us! 2. Our Angels hanging out at the Argus offices in Newort! 3. Some of our Angels hanging out with some of the guys at the Argus offices in Newport! 4. Some of our Angels hanging out with the guys at the Argus offices in Newport. 5. Some of the office workers at Argus in Newport happily getting their breakfast on us! 6. Some of the Angels hanging out with the guys at the Argus offices in Newport! 7. The Angels delivering the office workers at Argus in Newport their breakfast! 8. Some of our Angels hanging out with the guys at the Argus offices in Newport! 9. 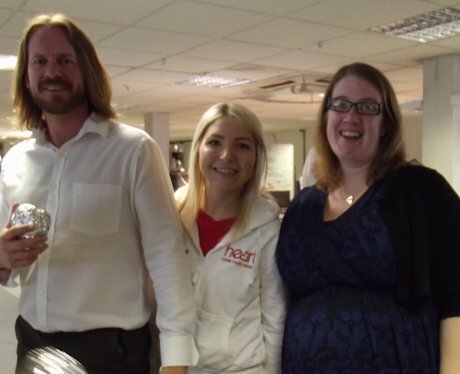 Some of our Angels say hello to the guys at Argus offices in Newport! 10. Our Angels spending time with some of the office workers at the Argus offices in Newport.